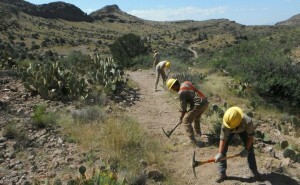 The 21st Century Conservation Service Corps (21CSC) is a private-public partnership that annually engages more than 25,000 returning veterans and young Americans in projects that strengthen America’s infrastructure, boost local economies, and multiply returns on our country’s most valuable assets: our unmatched landscapes and people. There are a variety of ways young adults, veterans, organizations, agencies, businesses, and other stakeholders can engage with the 21CSC. Below is an overview of the different types of engagement. 21CSC Participants – or “Corpsmembers” – are the young adults and recent veterans who serve in 21CSC Member Organizations. Young people between the ages of 15-25 can apply to join a 21CSC program. Some programs also recruit veterans up to age 35. 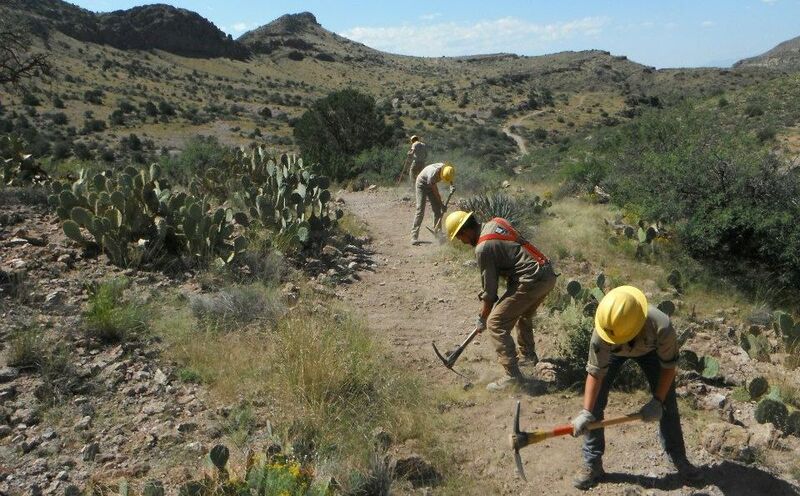 During defined terms of service, Corpsmembers gain hands-on work experience and develop marketable job skills as they engage in a range of projects that address conservation and community needs. There are more than 200 21CSC Organizations operating across all 50 states. Some programs are “national,” conducting projects throughout the country; other programs are regional, operating in a given geographic area; and others are local, meaning they operate within one state or community. Each Organization has its own recruitment process. To find a program, visit 21csc.org/list-of-21csc-programs/. 21CSC Member Organizations enroll Corpsmembers and – through partnerships with resource management agencies, government, and other organizations – facilitate projects that address conservation and community needs. Organizations or programs interested in becoming a 21CSC Member Organization must meet the eight 21CSC Principles as adopted by the National Council for the 21CSC. Any organization or program interested in becoming a Member is required to submit a Letter of Interest to the US Forest Service. LOIs are reviewed on a rolling basis. Click here for more information. The Partnership for the 21CSC’s charter calls for it to develop “national partnerships to support 21CSC.” These partnerships with national non-profit and for-profit organizations support the development and implementation of the 21CSC to reach its goal of engaging 100,000 young people and veterans per year in conservation service. 21CSC Partners are actively engaged with the 21CSC Co-Chairs and identify areas of mutual benefit and applicable activity that are outlined in a Memorandum of Understanding. 21CSC Supporters are for-profit and non-profit organizations, as well as private individuals, who believe in the vision of the 21CSC. Supporters want to stay engaged with 21CSC and help promote 21CSC, whether it be through hiring/supporting 21CSC Crews or members; attending 21CSC events; helping with advocacy activities (such as writing letters to the editor or contacting Members of Congress); donating; sponsoring 21CSC events; or sharing/collaborating on 21CSC blogs, videos and social media posts. Supporters do not sign an MOU and are under no obligation to help with 21CSC promotion, but are willing to make a soft commitment to do what they can to further the 21CSC’s mission of engaging more young adults and veterans in service on our public lands and waters. Organizations or individuals interested in becoming a 21CSC Supporter should contact the Partnership for the 21CSC (P21CSC) via 21CSC.org. Supporters will be listed on 21CSC.org and added to the 21CSC email distribution list. *21CSC commends its Partners and Supporters for their commitment to young people, veterans and conservation service, but is not obligated to take positions on issues of importance to these organizations, businesses, individuals or other stakeholders. Partners and Supporters should not consider being listed as a Partner or Supporter a blanket statement of support from the 21CSC. The 21CSC will provide service, training, education and employment opportunities for thousands of young Americans and veterans, including low-income and disadvantaged youth. The 21CSC will protect, restore and enhance public and tribal lands and waters, as well as natural, cultural, and historical resources and treasures. By producing high-quality, cost-effective project outcomes, the 21CSC will increase access to and use of public lands and waters, promoting local economic development and outdoor recreation. Through service to America, the 21CSC will help develop a generation of skilled workers, educated and active citizens, future leaders, and stewards of natural and cultural resources, communities, and the nation.